After having written a series about the theology of Johnny Cash (see the sidebar or start here) I've continued to explore the music of the Man in Black. Given my own work in a prison I'm drawn to the songs Cash sang about prison as well as the two live concerts recorded in Folsom and San Quentin prison. In exploring these prison songs and concerts I stumbled across an interesting scholarly analysis of this aspect of Cash's music. Did Johnny Cash pay any attention to what criminologists were putting forth over these decades? Cash never went to college or took courses in criminology, and he likely never read a criminological text. Yet, he appears to have found a way to become a “folk” voice regarding crime and punishment. Johnny Cash wrote, recorded, or performed on television over 400 songs and sold over 90 million records. This paper will examine that portion of Cash’s body of music, some 60 songs, which gave voice to concerns dealing with the causes of crime, punishment, and the potential for rehabilitation and redemption. These songs include a total of 58 identifiable crimes: 22 homicides, four assaults, four cases of domestic violence, and one robbery. Life behind bars, in jail or prison, is the subject of 27 songs while being on a chain gang appears as a subject in nine. Of the songs critical of the justice system, three make reference to police or correctional officer brutality. The criminal justice system’s ultimate punishment, the death penalty, appears in 13 different songs. The heart of the paper's analysis focuses on the model of criminal behavior described in Cash's music. While the authors note that Cash's music does focus on environmental factors the most consistent explanation for criminal behavior is choice. The summary of the authors: "[Cash's] songs predominantly reflect a rational choice model as an explanation of criminal behavior." Relatedly, in most of the songs the criminal tends to admit responsibility, and often regret, for his crime. 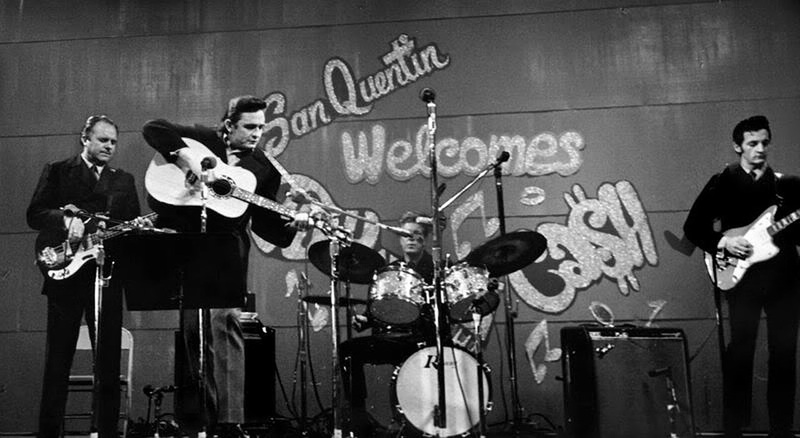 The authors write: "The protagonists in Cash’s songs rarely deny responsibility for their actions as demonstrated in several of the songs previously discussed. Overall, there was no denial of responsibility on the part of the subject in 26 (43%) of the songs. In 20 of the songs, the lyrics make it abundantly clear that the offender accepted responsibility for the crime(s) identified." This sort of model--choosing to kill, taking responsibility, expressing regret--is likely due to the "murder ballad" genre explored by Cash. See the chilling song "Delia's Gone" as an example of this. Not all of Cash’s protagonists admit responsibility. In six songs, the subjects actually claim to be innocent of the crimes they are accused of having committed. Cash often employed the protagonists’ claims of innocence to critique the criminal justice system, suggesting that innocent men and women have been sent to prison, or worse yet, sentenced to death for crimes that they did not commit.